Anne says this to Gilbert in Chapter 2. This moment typifies Anne’s optimistic and curious nature. She is prepared to take all of the difficulties life may have in store in order to experience as much of life as she can. Her intellectual curiosity is teamed with her imaginative nature to render her fearless in many ways. This is also a moment when her charm begins to win over Gilbert. Throughout this section, Gilbert is knocked off his square and answers her with short one-word answers. He is finally coming under the spell of her charm. This is from Chapter 34 in which Anne explains to Marilla that she is devoted to her and Matthew. Anne tells her that although she has grown and learned many things, she is at heart the same girl they have always known. She uses the metaphor of a tree to show Marilla that although her outward appearance and overall demeanor has branched out and taken on new forms, she remains essentially the same girl they have always known. 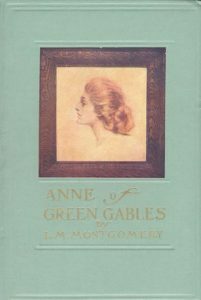 It is curious that the novel focuses so intently on the evolution of Anne, but it also is at pains to preserve an essential nature in her character. From Chapter 35, this quotation weaves the image of the rose into the undefeatable optimism which surrounds Anne. She herself is endlessly optimistic. As a young girl, abandoned to an orphanage, she nevertheless arrives at Green Gables filled with hope for her life. As with the eternally returning rose, blooming again no matter how often it may fade, Anne continues to bloom no matter the difficulties she may encounter. Her intellect and imagination are the source of her bloom, as the rose retains an internal essence which causes it to endlessly return with all of its beauty and promise. Spoken in Chapter 38 as Anne contemplates the reality of her decision to devote herself to Marilla and Green Gables with the sacrifice of her college prospects. The quotations points to Anne’s endless optimism. More importantly, this quotation shows us the uncertainty of life. No matter how well a future prospect may seem certain, life will interrupt plans and aspirations. Anne is able to see the difficulty and sacrifice as a source of inspiration and optimism in itself. Rather than focusing on what is lost in her sacrifice, Anne chooses to look at the moment of difficulty as yet another opportunity for adventure.